Great news, everyone. 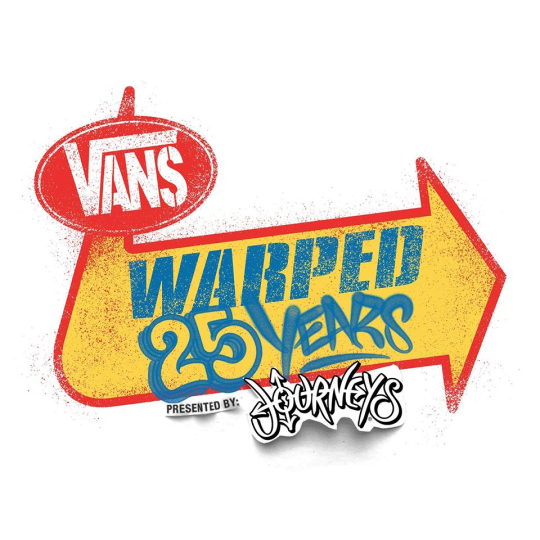 After weeks of waiting, the Vans Warped Tour has finally revealed locations for their upcoming 25-year anniversary shows. 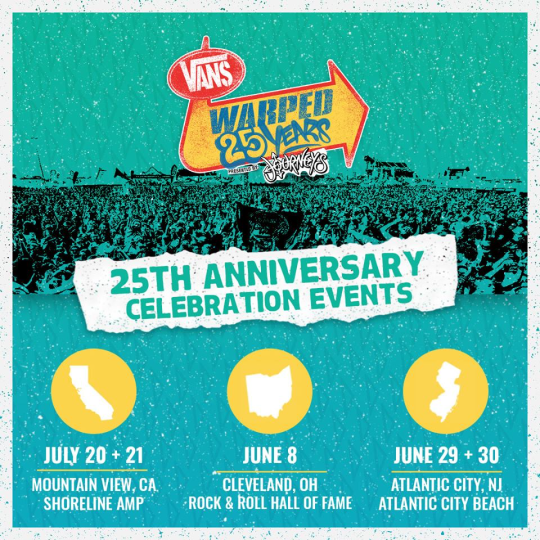 Previously announcing dates back in December, founder Kevin Lyman has shared that his forthcoming Warped festivals will take place June 8th at the Rock & Roll Hall Of Fame in Cleveland, OH, June 29th and 30th at the Atlantic City Beach in New Jersey and, lastly, July 20th and 21st at the Shoreline Amphitheater in Mountain View, CA. 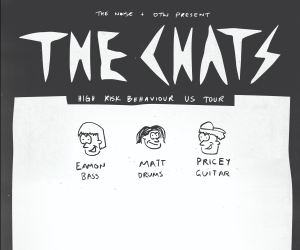 As for the artist lineups for each date, you’ll have to wait until March 1st to find out who will be playing when and where. Tickets, which according to the Warped social team will range from $125-$150, will also go on sale March 1st. For more info on the upcoming 25th anniversary Warped shows, head here.